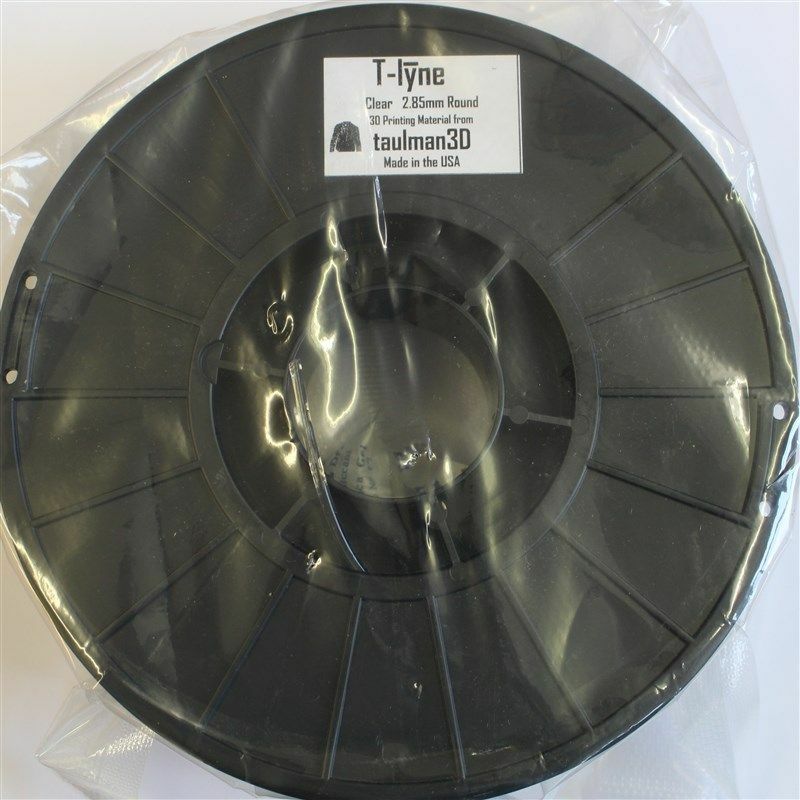 T-lyne is a unique, crystal clear polyethylene copolymer developed specifically for high durability, flexibility, unique viscosity and a wide temperature range. THE potential candidate for Prosthetics. When placed in hot water you can reshape and it will hold its new shape when cooled! 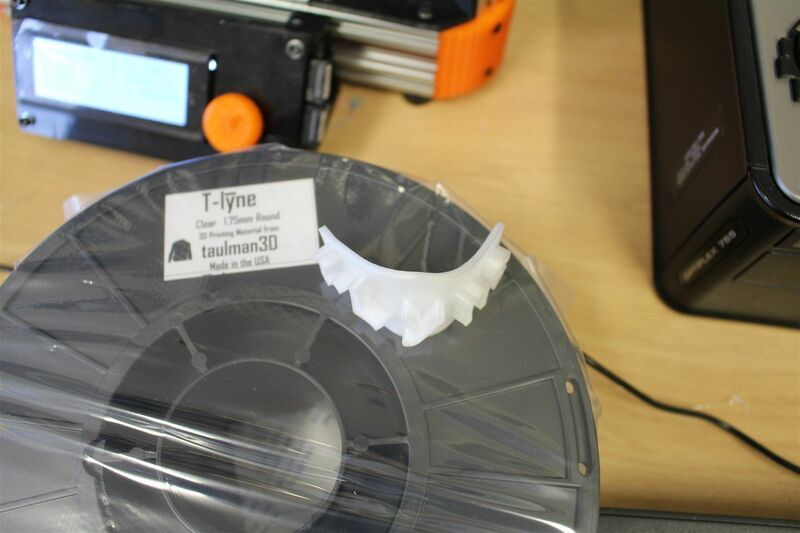 Recognizing a growing need for 3D printing materials with higher durability as well as unique flexibility, taulman3D and DuPont Packaging & Industrial Polymers (DuPont) worked together to manufacture and release a unique new flexible material to the 3D printing community called T-lyne that uses DuPont™ Surlyn® ionomer. T-lyne is a unique, crystal clear polyethylene copolymer developed specifically for high durability, flexibility, unique viscosity and a wide temperature range. 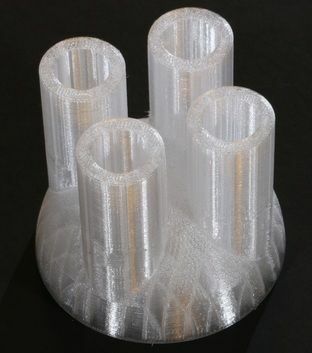 Glass-like aesthetics can easily be obtained at high layer sizes using low speed and low temperatures in the range of 190 C to 210 C. Utility style parts are easily printed faster at standard layer sizes using higher temperatures up to 245 C, depending on nozzle size. Most notably, DuPont™ Surlyn® in T-lyne meets FDA 21CFR 177.1330(a) and can potentially be used in prosthetics where the most unique feature is the ability to immerse a part into hot water, make some minor adjustments, then cool the part and the part will maintain the adjustments as if it were printed in final form. For years, clinics have used polyethylene braces, temporary casts and corrective positioning components to more closely match the end user’s exact needs. The clarity of T-lyne allows one to see into or through a part with as many as 5-8 perimeters and determine where adjustments may be needed. This same clarity is used for non-destructive evaluation of any printed utility part as internal adhesion is paramount. Also, T-lyne has a surface that is not slippery, making hand tools made from T-lyne unlikely to slip out of one’s hand. DuPont™ Surlyn® ionomers are also noted for their extreme durability. Surlyn® is used to coat golf balls and bowling pins to protect both from the elements and extreme abuse. 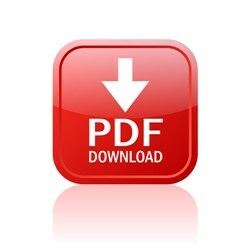 In addition, Surlyn® can provide very uniform color ability, if required. taulman3D worked with David D. Zhang of DuPont in line development and testing of a specific Surlyn® isomer for 3D Printing. David was a significant help in defining the best Surlyn® polymer to be used in 3D printing with the best overall bed adhesion of any material to date. 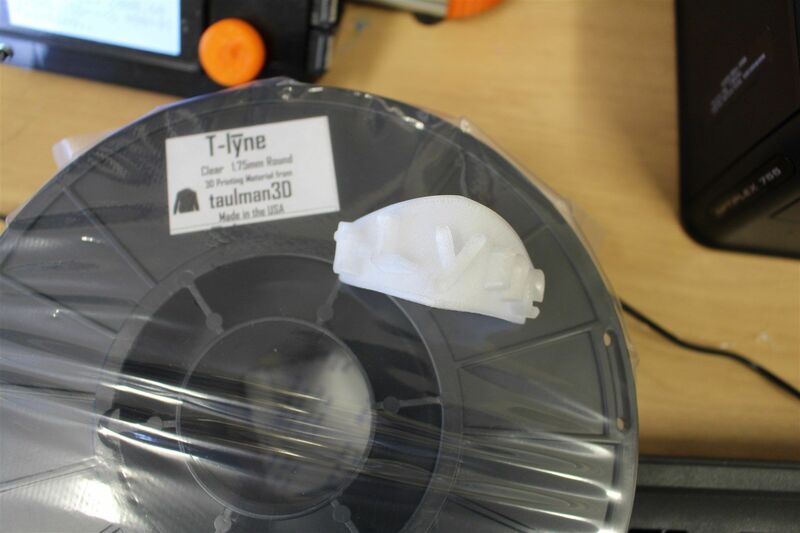 Testing shows T-lyne prints easily on cold and warm (40 C) surfaces, such as clean glass, PEI, Ultem, Borosilicate glass, acrylic, BuildTak, GeckoTek and others. We printed successfully at 195c on a 50c kapton bed (only because it was loaded already) on our Mini Kossel (Bowden) running at 18mm/s. 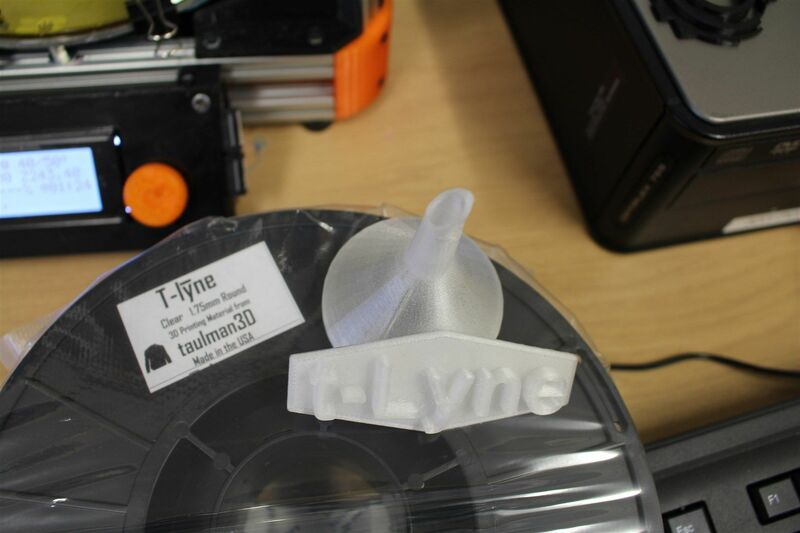 The t-lyne text print which was just a few mm thick held well in boiling water and reshaped nicely!